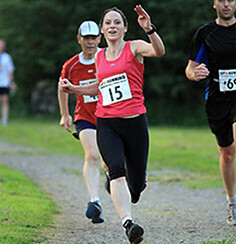 Endure24 is a 24hr race which is held from midday Saturday to midday Sunday. The aim is to complete as many 5 mile laps as you can in teams of 8, 5, 3, 2 or on your own depending on how much you want to challenge yourself. The route is 99% on tricky forest trails and has some impressive hills. What’s that saying? The couple that runs together, stays together? The couple who runs together, will end up going to a 24hr race together, fall out over who should have checked the tent for leaks and whether the the other should be charged extra petrol money for having to return to the house for forgotten items and end up sulking. With one half of the couple in a car in a puddle of mud, the other one in a tent in a puddle of rainwater. I needed to pack for Endure 24 which I was to be running as part of a team of 8. However, due to a busy week, I hadn’t had a chance to check the tent, pack kit or sort out the best bit – the food. And snacks are my FAVOURITE thing. Apart from the running of course. Therefore, I'd relied on The Mister to check the tent and I sorted out the food. I like sorting the food for long races. It involves taste tests and pick’n’mix tends to feature heavily. I’d baked a couple of sweet potatoes and tucked in some Chia Charge flapjacks for a special treat in between the sweets. 9am: Pack car with running kit, tent and food. 9:20am: Leave house and drive towards M4. 9:22am: Return to house for The Mister's headphones. 9:24am: Leave house and drive towards M4. 9:26am: Return to house for The Mister's car charger. 9:28am: Leave house and drive towards M4. 9:26am: Return to house for The Mister's car trainers. 9:27am: Resist urge to leave The Mister behind or beat him to death as this will mean I will have to run extra laps at Endure 24. Leave house for final time and drive towards M4. Refuse to stop, turn around or go to drive-thrus. Despite whinging. 11:00am: Arrive at campsite. In pouring rain. Luckily the other team members have registered the team and have picked up the numbers, chips and race packs so The Mister and I unpack the tent in the sodden field. 11:15am: Realise The Mister’s idea of ‘checking the tent’ meant he opened the tent bag and went “yep it’s a tent.” We have brought The Leaky Tent with us. Sigh and get on with putting tent up. Might be able to peg it tautly to limit amount of water inside the tent. 11:20am: Realise The Mister hasn't packed tent pegs with the tent. 11:21am: Sit in tent and scoff entire pack of chocolate bananas in panic as the lightning crackles around the tent and the rain drizzles gently down my neck. 11:22am: Calming soporific effect of chocolate kicks in and I calm down slightly. Trenchfoot takes longer than 24 hours to develop right ...? 11:50am: Line up with about 600 other runners for lap 1. Race has grown from 600 last year to 2000 this year but start funnel is same width. Personal space is not an option and spend 10 minutes with nose pressed in armpit of runner beside me and cheek stuck to someone else’s back. Remove someone’s elbow from my buttock and am relieved to hear the starting horn as it means I may be able to draw a breath soon that doesn’t smell of someone else’s nervous farts. However it’s the same old camaraderie and there is chat all around and everyone is discussing races and snacks. solo runners who are trotting along at a “I can do this all day and night” pace. like Halloween and Mike Myers but with more lycra and less Jamie Lee Curtis. Plus I’d have to give the snack back. I decide to get a move on. Start dodging and weaving between runners to try and get some space to run in which doesn’t involve treading and being trodden on. It’s the same at the start of every race especially one on narrow trails but I’m aware that the path narrows even further so I run along the grass verge to try and get around some of the slower runners. grateful for the water dripping off the trees onto me as it cools me down. footprints and a deepening muddy trench around it. Get a bit carried away with the excitement and run a bit too fast. and wait for the portaloo. hanging out of mouth like it feels they are. Get caught up in the fun. Lots of people to overtake, friends to see and exciting trails to run. Going too fast to maintain pace over next few laps but will have a long rest in between and it will be fine. Pick’n’mix will make everything better. front of me and I have less than 400m to catch her in ... come on legs! Caught her! And a sprint finish to the line. Across and I hand the wristband baton to Aurian, the runner after me. 1pm: Went back to leaky tent and had Trampy Camper’s bath. This consists of clean clothes and a baby wipe wash.
Didn’t feel too bad about Trampy Camper bath as the amount of water coming in through the tent roof means I'm effectively getting a rinse anyway. If the rain increases I’d probably be able to have a bath. While inside my sleeping bag. 2.30pm: Get phone call to confirm 5 year old completed her own race of 2 miles. She has a medal and everything and hardly needed to be carried at all. She is very proud of herself and has been telling everyone she won. 3pm: Spot Zoe Forman in coffee queue. Have a chat in real life after being Twitter buddies for YEARS. She is tiny in real life and strong looking. She is super fit and ready for her Ironman in a few weeks. Resolve to be super polite as she looks very strong and unlikely to take any cheek off a mere marathon runner. in hedge if I can catch him as this will improve my lap ranking. together. Mud is RIGHT up her street. She is very chilled out about it and not at all fazed at the thought of meeting a sticky end in a bog somewhere in a wood in Berkshire. 6:10pm: Lap 2. Legs are sulking as I'm forcing them to run despite a hard effort earlier. massive amounts of runners going through it, course has turned into quagmire. the rest of the landscape. Poo brown. quite as pretty as they once were. it’s nice to be cheered. 7pm: Back to the tent, babywipes out again. Plantar Fasciitis isn’t causing problems although felt a ‘stretch’ a few times. Went to roll ball on sole of foot to ease PF But discover ball has been lost in massive amounts of mud surrounding tent. Improvise and roll foot on can of deodorant instead. Might not do much for the PF but my feet smell lovely. 7:25pm: Consider taping foot but realise I have forgotten Rock tape. 8:06pm: Suspect I may sleep in car. late notice has run 2 laps and Rob manages one lap but is now stepping out. team despite late notice and injuries. 10:31pm: Retire to car. Expect a picket line and burning oil drums any minute. attempt to dry out self and kit from rain while waiting for next lap. running as she can’t sleep. Turn car engine off and sit in dark and cold. Wonder why crazy lady wasn't also being stroppy about the loud noise of the generators from main arena 15ft away and think she is just being grumpy and mean spirited. Realise she may be in a damp tent with no car to warm up in. Feel sorry for grumpy woman. I would have let her sit in the warm car if she’d just asked. Would have made her take her shoes off though. 11:49am: Lap 3: Receive baton from Simon T and set off running. Have new white waterproof jacket on so also have smug face on as will be dry despite rain. However discover that course appears completely different to earlier as road and grass gone and is now slurry and mud. Conditions treacherous and slidy. Is brilliant fun. Headtorch is nice and bright. 00:11am: Fall into hole in trail. Manage ninja-like forward roll through mud and jump back to feet. 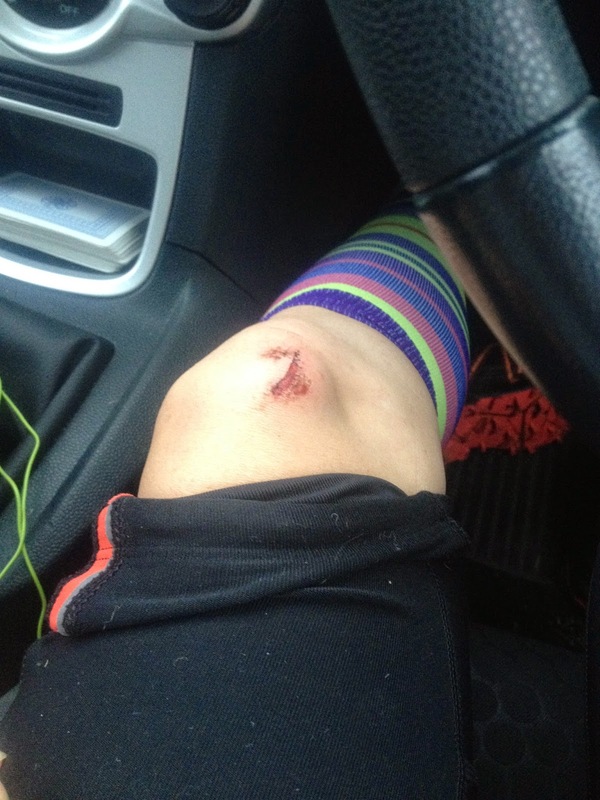 However due to reaction from nearby runners suspect it may have appeared that I fell on my face, rolled over and floundered in mud before staggering upright. I reassure them I am fine despite hole in my leg and brown splatty mud marks on new no-longer-white jacket. At least it was dark. up hills and run rest of it. And stop smiling. 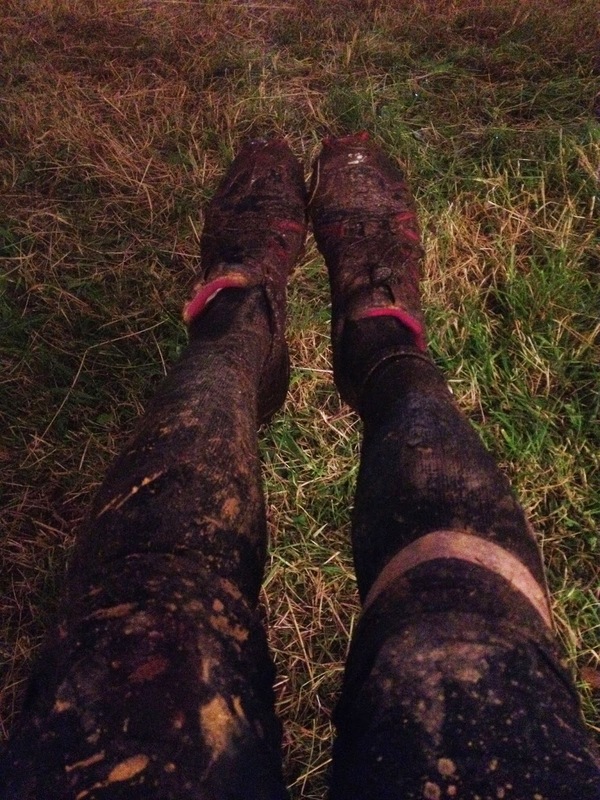 00:20m: Discover running not possible in latter parts of course as mud is so deep. undiscovered drugs in it. That I discovered when the mud got in my mouth. have gone to bed and team runners going a bit slower due to dark and mud. wants a parprise. Is like a surprise but smellier. and legs look like those of a golem. making me look like a slacker. 01:30am: Food tent: Have definitely earned a packet of crisps and a can of tango. to be wearing. Mud in mouth does strange things to brain. strange person taking photographs of her own muddy appendages. 2:01am: Decided couldn’t even sleep in car as amount of crap on self horrendous. Decided to brave camp showers. 2:25am: Hot water ... mud off ... Best. Shower. Ever. 2:26am: Reach for clean clothes. 2:30am: Get to tent. Climb into PJs and dry sleeping bag, warm and sleepy. toenails wiggle? Tie it back on with elastoplast tape and put on dry socks. users have a fear of toenails. out though. Didn't all come out in shower and don't want mud tattoo. 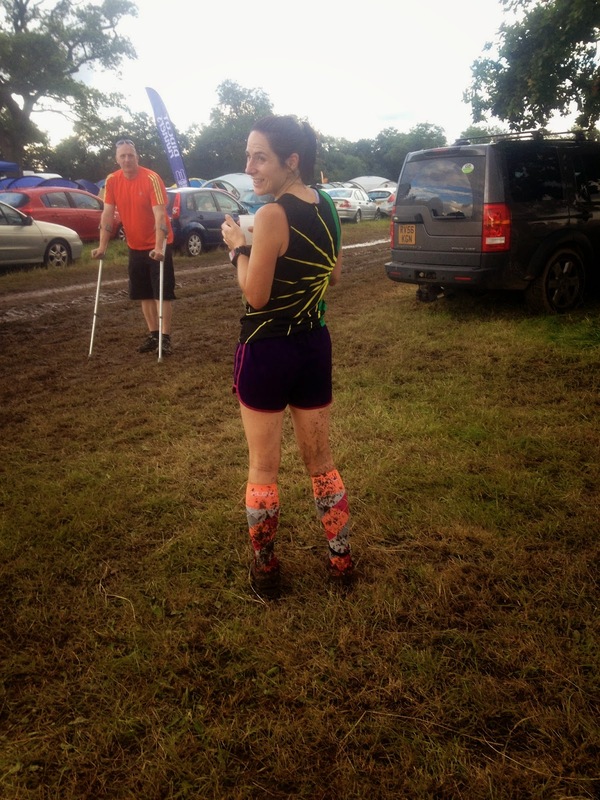 6:25am: Head to changeover point to get baton wristband from Simon T.
due to the dramatic amounts of mud he is wearing. Take wristband. dip in the course, now full of brown water. finished a muddy lap and is cooling off. Not me then. envy. Resolve to steal hat if get chance. Do not get chance. Sulk. maintained if you stay on this section. patterns bright in the sunshine. wear new white clothes on a muddy trail run (mud everywhere). 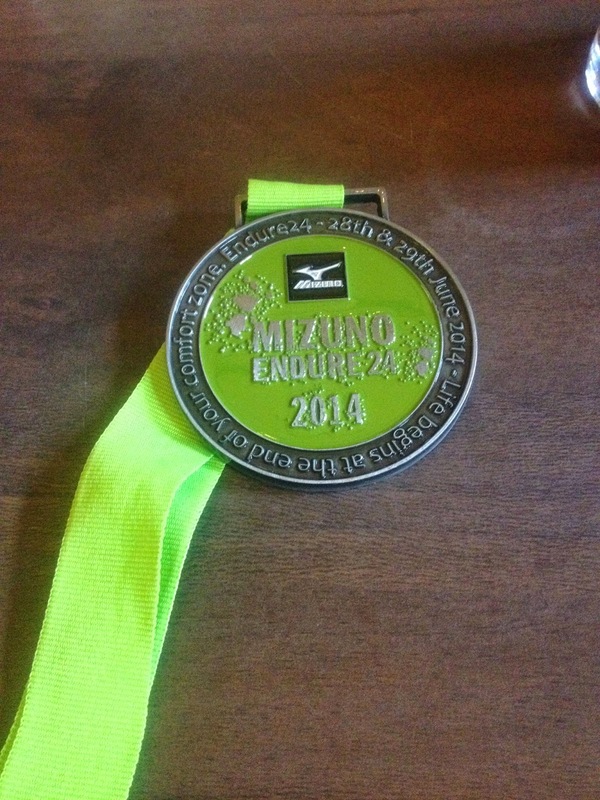 Endure 24 except Aurian who is out on course. the other team members unload pockets full of protein bars. butter bars before heading back to food tent. 12:00: The horn blows signifying no more runners are allowed to leave for new laps. 12:20pm: Aurian comes in on final lap. demonstrate how tents should be put down. The wind helps. 2:10pm: The line of cars trying to leave the campsite is no shorter. 2:15pm:: Go for a walk as can't leave campsite. Discover secret way out of campsite. 2:16pm: Everyone sees me sprinting and discovers secret way out of campsite. 2:25pm: Stuck in queue in car. have thought it would turn into a massive dashboard-shaped sweetie?